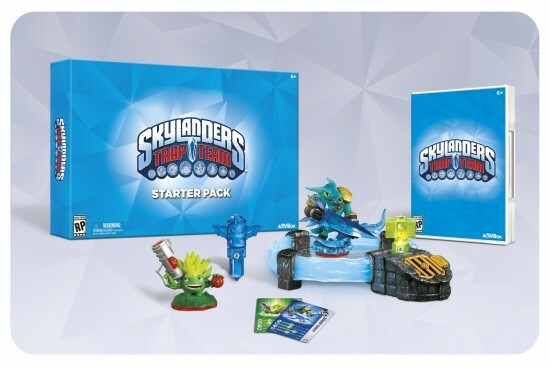 Make sure to check out Ninjini’s trailer and screen shots after the break and stick to The Flickcast for more on Skylanders Swap Force and the 32 new Skylanders coming out for it as it becomes available. As much as we have enjoyed some of the new Skylanders introduced in Skylanders Giants, there is nothing cooler than adding one of the eight new Giants to your shelf. Up until now, only five of them have become available. That changes with the release of the Undead and Water Giants, Eye-Brawl and Thumpback. 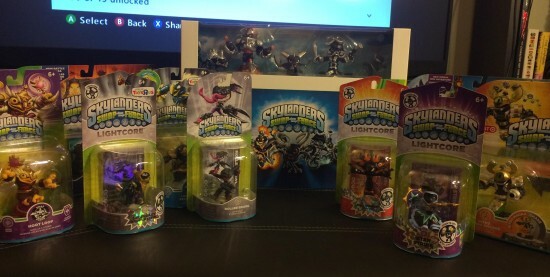 Not only have the Giants been the focus of the latest Skylanders game between the title and the focus on putting the lightcore technology in all of the Giants figures, they have also been given some of the coolest concept design and detailed crafting towards the actual toys. 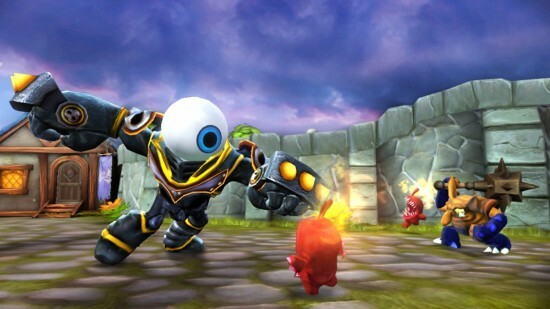 Eye-Brawl touts itself as being one of the most powerful Skylander in addition to being one of the most visually impressive. Thumpback looks to be a huge powerhouse and will likely become a favorite for players with a preference for Water Skylanders as well. Check out the full character bios, trailers, screen shots and toy gallery for both Eye-Brawl and Thumpback after the jump. 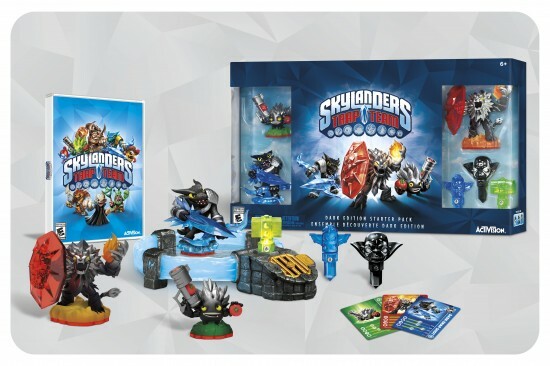 If you have a young male gamer in your family anywhere between the ages of 6 to 36, you have most likely heard of Skylanders. What seems like a simple adventure game takes on the addictive nature of Pokemon style in-game collection alongside real life figurines (a staple of any geek lifestyle). Skylanders Giants comes as the second iteration of what will likely become a yearly franchise for at least the foreseeable future from Activision and developer Toys for Bob that adds some new gameplay dynamics and, more importantly, a slew of new figures for gamers to collect. Skylanders Giants kicks things off following the events of the original Skylanders: Spyro’s Adventure. There is a little bit of meta going on with the story as the antagonist Kaos finds himself in our real world and sees the Skylanders trapped in toy form. After transporting himself back to Skylands, Kaos finds out about a mystical artifact that will allow him to control a robotic army and take over Skylands. Meanwhile, the player finds out that the ancient Giants, who were the first Skylanders, have been found and they can be awakened to stop Kaos and the robotic army. Yes, it does sound like a Saturday morning cartoon but that is a part of the charm of Skylanders Giants. Just as the story has a whimsical youthful feel to it, so does the character design. 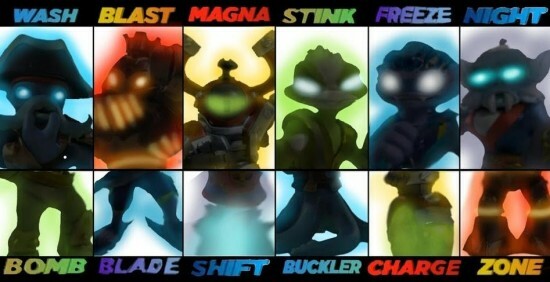 All of the Skylanders from the original game return along with eight new Skylanders and eight Giants. 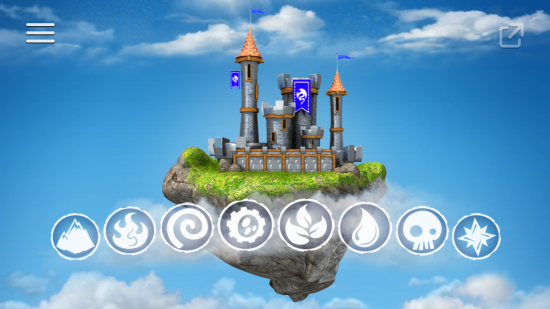 The designs stay in line with the different elements of the game like Life (trees), Death (skeletons), Tech (mechanical) and others while keeping the designs of the new characters original as well. The Giants are unique both in their size on-screen and in their design as well. They have a larger than life feel with the way they interact with other characters and objects on-screen.